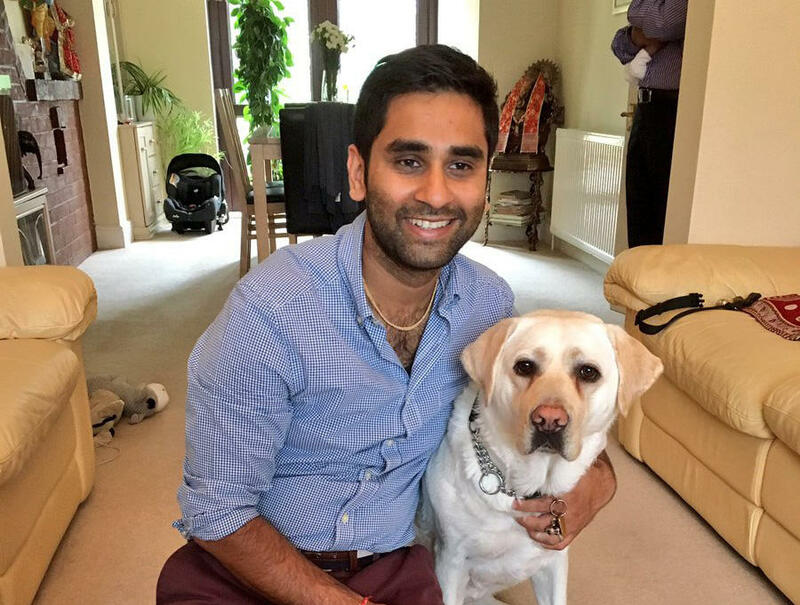 Former doctor Amit Patel relies on his guide dog, Kika, to get him through his busy London commute every day. And every day, as the GoPro he and his wife glued to her harness shows, they have to face countless obstacles. Patel, who lost his eyesight in 2012, trusts Kika to help him get up and down escalators, on and off the London subway, and through his entire work day. But that process is often disrupted by daily abuse from fellow commuters. “It was only when other commuters would tell me ‘Someone just kicked you dog,’ that I would realize what was actually happening,” Patel told CBS News. So he and his wife, Seema, decided to record what Kika sees. She reviews the footage, then posts it on Twitter to show just how hard Kika has to work to get Patel to his final destination. The couple wants to raise awareness about the importance of letting guide dogs do their work without interruption. Patel lost his eyesight from a condition called keratoconus, which affects the shape of the cornea. After eight failed transplants, he decided it was time to accept his new path in life. That meant relying on a walking cane to get around on his own. Then he was matched with Kika in September 2015. Patel just wants people to realize how much courage it takes to leave the house every morning, even with his trusty sidekick -- and she needs to be able to do her job effectively.